Beauty from within AND good-looks? Sign me up! 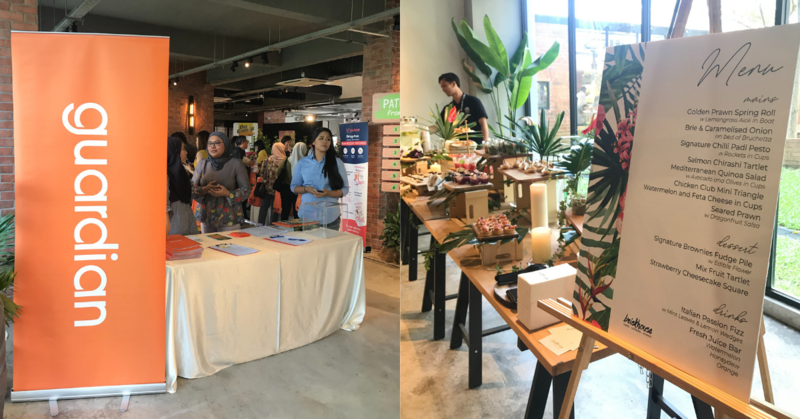 Guardian Malaysia connected the concerns of many consumers related to health as well as beauty, and launched a special Live Healthy, Live Beautiful Extravaganza last Friday @ The Grounds KL! As Marketing Director, Mr. Dy Cho, mentioned: “Being beautiful means having both Inner and Outer beauty, as that is the key to good health and the root of true beauty.” And that was what this experience was all about. With 20 brands taking part in this occasion, the event space was divided into three main categories – First we had “PATH TO SHINE FROM WITHIN”, which focused on healthcare products for those who want to achieve inner strength and well-being. Next was “FOUNTAIN OF YOUTH & LASTING BEAUTY”, emphasizing on skincare and cosmetics, now who wouldn’t want that instant boost for an enhanced complexion? Lastly came “YOUR BODY, YOUR SANCTUARY” that showcased personal care products that covers all your intimate needs. Did we mention that some brands are exclusive to Guardian only? Along with never-seen-before products that are new to the global health and beauty market. So keep a lookout for these goodies the next time you drop by any Guardian outlets wherever you are! Be sure to check out their Guardian as well as their Facebook and Instagram.